3.3 out of 5 based on 39 bloggers and 6 commenters. 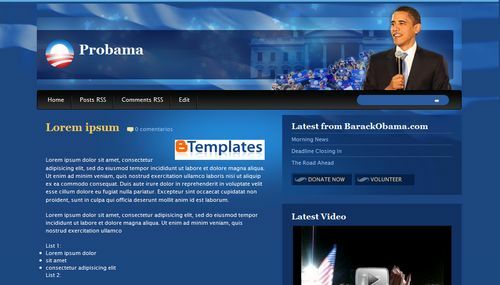 Probama is a free blogger template adapted from WordPress with 2 columns and right sidebar. Excellent template for blogs about culture, people or photography. El diseño esta precioso! Justo ahora lo pruebo!